You know the saying “it’s not what you know, it’s who you know”? 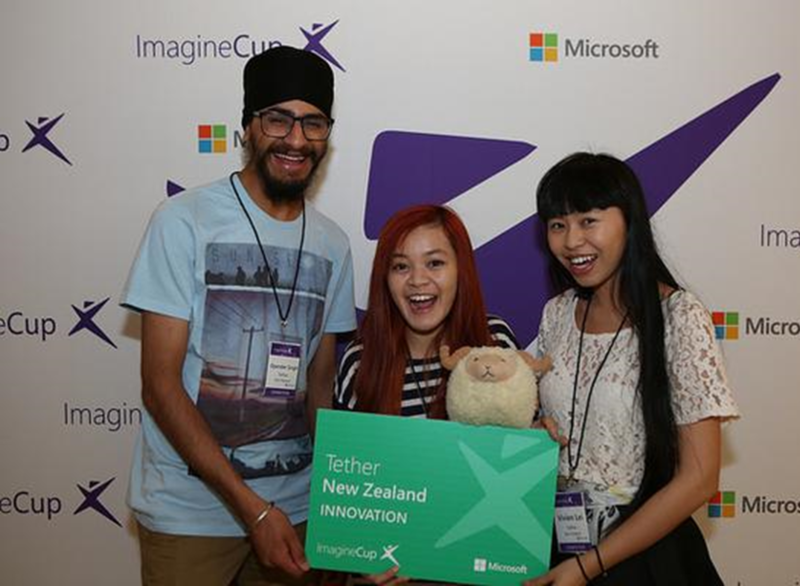 Three Imagine Cup students from the University of Auckland in New Zealand — Team Tether — have used that idea to create an app to bring the concept to life. As World Finalists in the Innovation category, Team Tether – also known as Alyssa Ong (user interface), Opender Singh (software developer) and Vivien Lei (business and legal) – are tapping into existing social networks to help friends find reliable help or even get discovered. Think of Tether as a public marketplace, but within your community – your friends, your school, etc. Their journey to Imagine Cup has been an inspiring one, and they credit many mentors – especially Dr. Michelle Dickenson, also known as Nano Girl – for their success thus far. What’s next after Imagine Cup? “We’re definitely going past Imagine Cup,” says Ong. “Imagine Cup has been a stepping stone, not a make or break,” adds Singh. Words of wisdom that we can all take to heart. Enjoy today’s Daily Edventure with Team Tether from New Zealand! This entry was posted in Entrepreneurship, Imagine Cup, Information, People, Student Voice and tagged Imagine Cup, New Zealand, team tether. Bookmark the permalink.